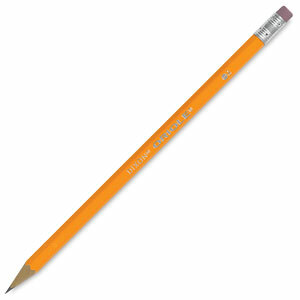 First-rate commercial grade wood cased pencil at an economical price. Perfect for architects, engineers, and contractors — anyone who needs a dependable pencil. Bonded for break-resistant writing. Quality pink eraser. #2. Box of 12. Pencils come pre-sharpened. PMA certified non-toxic. ® Dixon is a registered trademark. ® Ticonderoga is a registered trademark.® Oriole is a registered trademark.